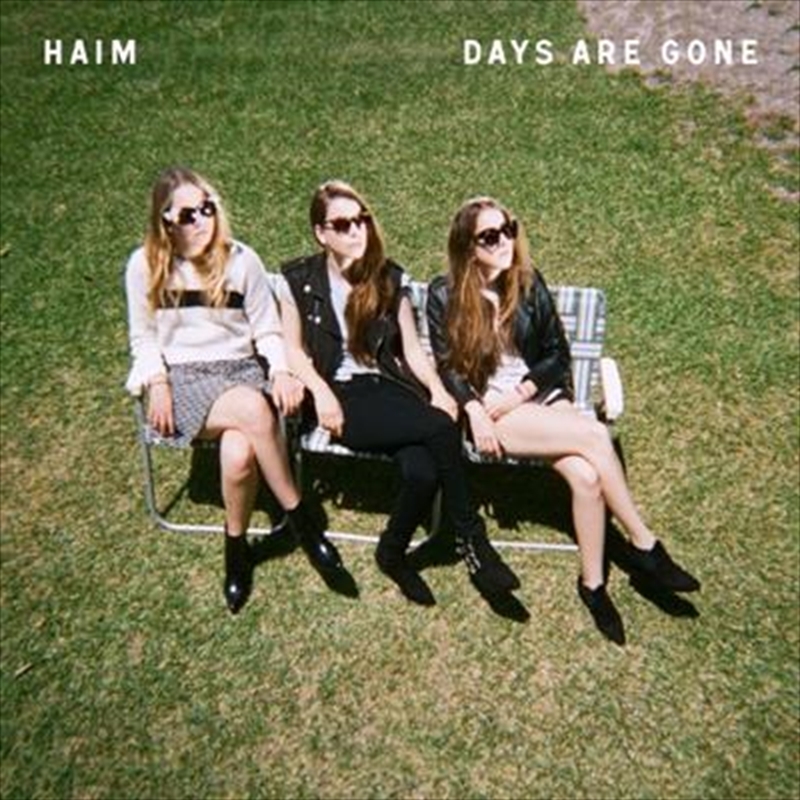 "Days Are Gone" is the debut album from Haim, released through Polydor Records. Following a series of LA based studio sessions with producers Ariel Rechtsaid (Major Lazer, Vampire Weekend, Usher) and James Ford (Arctic Monkeys, Florence & The Machine, Simian Mobile Disco), San Fernando Valley sisters HAIM have emphatically taken all the strengths of their live shows and transformed their songs into nuggets of golden pop. Beginning the year as the BBC Sound of 2013 winners, off the back of two limited edition EPs and a handful of sold-out UK live dates, HAIM holed themselves up in the studio and spent the next few months perfecting a record that is arguably one of the most hotly anticipated in years. It's a record that the band refused to let go of until they were 100% confident with it, and is all the stronger for their patience. "Days Are Gone" is a record that wrestles with that early live potential and fully realises it, showcasing the breadth of their collective and individual talents. Having performed live together on stages from a very early age, it's that innate understanding of each other's musicianship that acts as both the strength and catalyst behind everything the band do. Plenty has already been made of the band's R&B influences, but it's a shimmering guitar-fuelled, West Coast pop that surfaces across the 11 tracks on the LP. Sharing all the songwriting between themselves, "Days Are Gone" is a record that features songs that stretches right back to when the band first formed (Forever, The Wire, Let Me Go), and songs written in the latter stages of 2012.